Mechanical aptitude tests, also known as mechanical tests, are sessions which determine how well you work with machines. 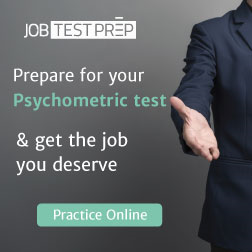 Required by many employers before you start employment, these tests help your hopefully future employer decide whether or not a candidate is a natural mechanic. 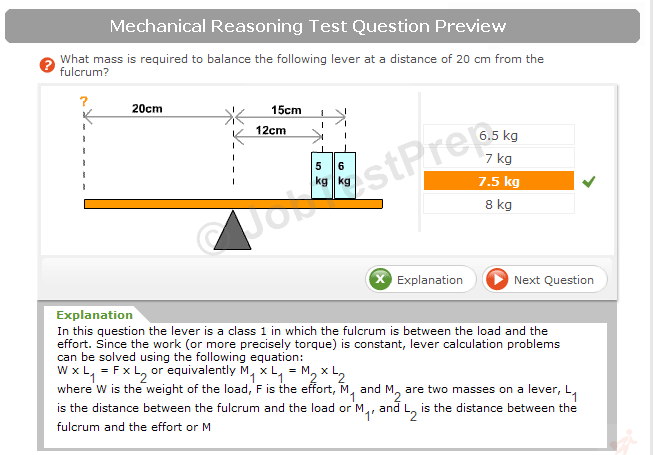 What this means to you is that these mechanical reasoning tests show your probably prospective employer how your mind works. In many mechanical fields, a college education or certification does not prove to an employer that you will be an excellent mechanic or engineer. Instead, it is more important if you can demonstrate to an employer that you can quickly analyze, troubleshoot, and repair mechanical problems without a service guide or manual. Employers such as the U.S. Government (the Department of Defense, as well as other U.S. Government organizations), AT&T, and Verizon all use mechanical reasoning tests of one form or another before employment of a job applicant. In addition to these companies, it is estimated that 40% of all employers in mechanical fields employ these type of mechanical tests. If you think that a prospective employer may issue you a mechanical aptitude test to complete, there are several mechanical tests that you may be given. Three tests that are commonly used to determine your mechanical aptitude include the Bennett Mechanical Comprehension Test (BMCT), the Criteria Cognitive Aptitude Test (CCAT), and the Wiesen Test of Mechanical Aptitude (WTMA). These three tests are similar in the way that they judge your mechanical abilities, but there are slight differences between each of them. The BMCT consists of 68 questions you will have to answer within 30 minutes. These items are strictly related to mechanical concepts and contain very little mathematics or reading comprehension questions. The BMCT has been in use for over 50 years and is available in two main versions- Form S and Form T. The BMCT is primarily used in trades such as automotive mechanics, welders, and professional truck drivers. The WTMA consists of 60 questions that are asked within a 30 minute period, very similar to the BMCT. However, studies have shown that the WTMA does not have a racial or gender bias- something that researchers have suspected present in the BMCT. For new employers, this is a significant concern, because discrimination lawsuits are widespread in today's modern world. Questions on the WTMA are worded in simple English (also available in Spanish), reportedly at a 6th grade level of comprehension. The WTMA, like the BMCT, is used in mechanically-intensive trades such as mechanics, welders, and by some automotive engineering facilities. The CCAT is a lesser-used test that consists of 50 questions that are asked in only 15 minutes. As you can imagine, the CCAT is a more intense test; very few people can finish the 50 questions in the relatively short 15 minute time span. The CCAT is not just a mechanical aptitude test; it also tests your ability to solve problems, think quickly and critically, learn new skills, and learn new information. The CCAT differs from the BMCT and the WTMA in that it is used by very few employers in a mechanical trade, and is typically used by employers that are looking for technicians in computer software and hardware fields, auditors, and management positions. Too often, employers will decide on a job opening based on someone's formal school experience, instead of focusing on how they think and solve new problems. Now that employers use mechanical reasoning tests, they can select better technicians and mechanics for positions, instead of blindly hiring someone with a degree or certification.